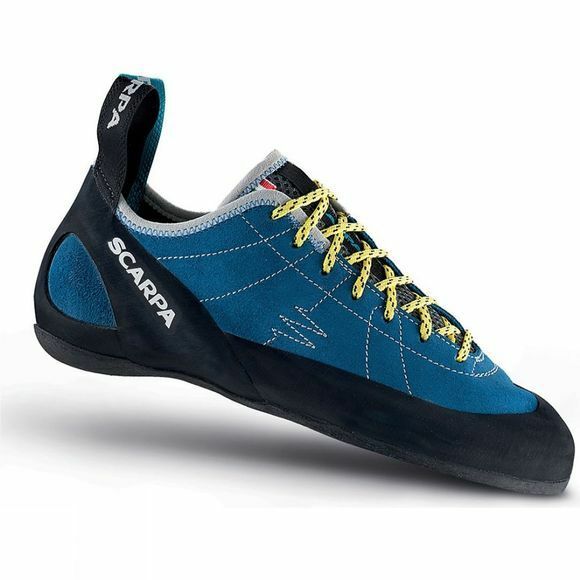 All day use, comfortable indoors and outside on entry to mid-grade climbs. The combination of flat lasted comfort, good edge support and an adjustable fit through its lace system make this a great all-rounder. Vibram XS Edge rubber, provides additional edge support and durability.